When you’re having one of those days when the thought of sitting in an air-conditioned office in blissful solitude appeals rather more than sitting at your dining room table trying to work at home while your children are pinching each other and shrieking in the background, then take a moment to think about the following light-hearted advantages of being a work at home mum. Lunch – never again will you have to endure a soggy sarnie or a limp salad. If you fancy a fishfinger sandwich or cheese on toast you can rustle up whatever you fancy, whenever you fancy! Weather – no commuting to worry about in the rain, snow or the baking heat. And if the sun does decide to shine you can decamp to the garden or give yourself an impromptu day off. Dress code – Power Suit or PJs? Stilettos or Slippers? It’s a no-brainer! Sick days – it’s easier to work around when you or the children are sick and less of a guilt trip – you are neither leaving a poorly child or letting down colleagues. Tea breaks – the kettle’s always on and there are always biscuits in the tin! Off peak – being home all day you can take advantage of cheaper delivery slots for the groceries, cheap weekday deals at the local soft play, less crowded buses & trains, and never miss a parcel delivery or the end of an auction on eBay! The Internet – the wonders of modern technology mean that you can email customers, print postage labels, book parcel collections, shop for groceries, book theatre tickets, plan holidays, listen to music, keep up with the news and market your business online all at the same time from the comfort of your own kitchen table/supermarket/bed/hot tub (delete as applicable!). Chores – little and often, these can be spread throughout the week rather than being saved up for a massive cleaning binge at the weekend. And in keeping with Health & Safety Regs they can even double up as a welcome screen break for tired eyes! Office politics – you don’t have to share an office with Mr Bore, Ms Brainless or Mrs Body Odour. Just add a smiley face to your email correspondence and your customers and clients will never know when you’re having a bad day or are feeling hormonal! 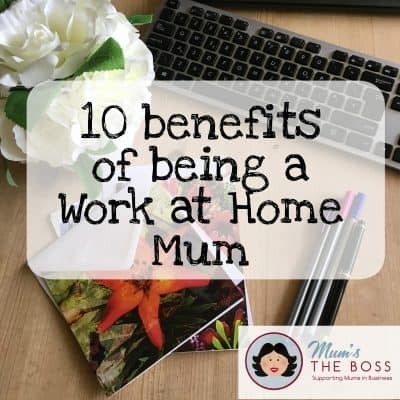 Mummy’s Little Helpers – yes they will get under your feet and stop you doing things, but you are there for them, you will never get this time again and you’re being a fantastic role model for the next generation of entrepreneurs! 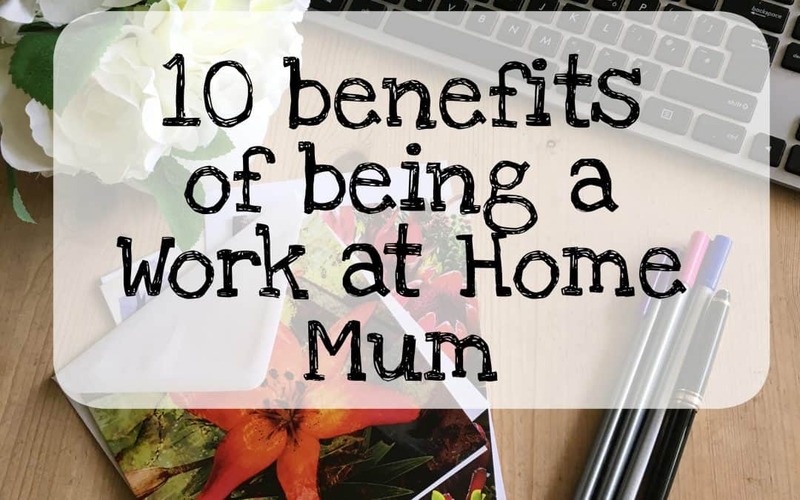 Never forget ladies – YOU are living the work at home dream!! 11. Being able to take the laptop into the garden and enjoy the beautiful sunshine whilst still working! Thanks for this! You have just reminded me all the reasons why I am working from home!! Welcome to my blog please have a look around. Posts may contain affiliate links and/or collaborative content – they will be labeled as such. Join our mailing list to receive regular updates from Mum's the Boss.